This town doesn’t have a proper celebration so the officials decided to link it to another well known event, called The Junii Feast. 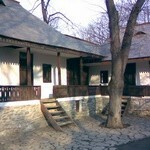 This is a very old tradition that goes back in time, its origins being debated upon: some say that it is a rite of passage of the young unmarried men (‘june’ in Romanian) or that it marks the only day of the year when the Romanians were allowed to enter freely the Saxon city Kronstadt (the Saxon name of Brasov). Be that as it may, it is a good opportunity of celebrating Brasov every year, on the first Sunday after Easter (Romanians call it “Duminica Tomii”). ‘Junii Albiori’ – their hats have a white tassel. This holiday actually starts on the 25th of March (there is an important religious holiday on this day) and lasts eight more days after Easter, when it’s the most important moment. 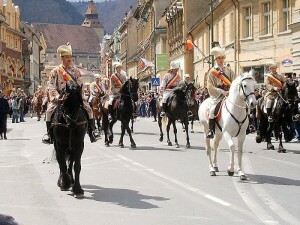 Around 11 a.m, the ‘juni’ start their horseback parade in the Square of the Unification in the center of Schei and heads towards the Council Square in the center of Brasov. The parade ends at the place knows as ‘Pietrele lui Solomon’ (Solomon’s rocks) where the holiday continues with traditional games and dances. 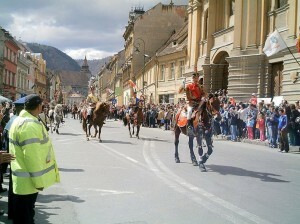 Celebrating Brasov actually means celebrating myth and tradition, in a unique and attractive manner. 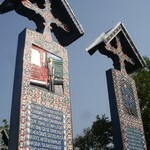 People of Brasov really have all the reasons to be proud of such a manifestation!